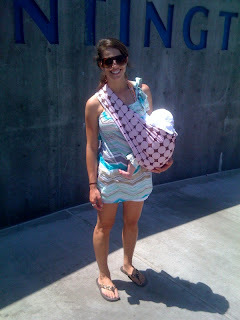 Its taken me a while but we are finally all moved in and the internet is connected so now we can post blogs again. We've been pretty busy lately. 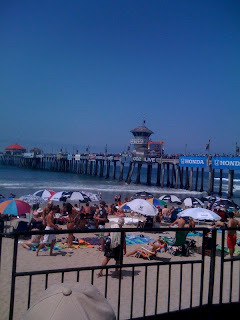 Two weekends ago I raced in the Camp Pendleton International Triathlon. I finished in 3 hours and 10 minutes. It was a great experience and I can't wait to do the next one which is next weekend. This weekend we are going to San Fransisco for Moka's half marathon. It should be a fun trip. 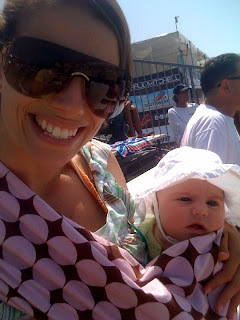 Over the past weekend we went to the US Open of Surfing in Huntington Beach, Bentley likes surfing alot.